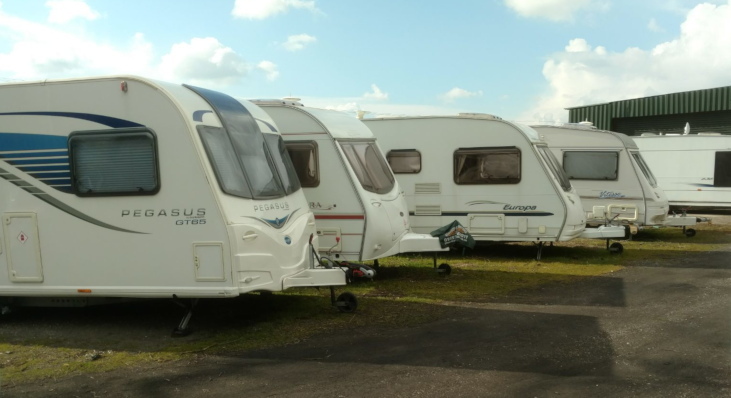 A helpful, family run storage facility — just 10 minutes from M1 Junction 30 — offering safe, secure storage for your caravan, motorhome or trailboat. Currently there are spaces available. We live on&hyphen;site, so your vehicle will be monitored daily and available anytime to collect or maintain. Access is from a minor road via a wide, single gated, key&hyphen;coded entrance. On&hyphen;site facilities include: hard standing, WC, electricity for battery charging & maintenance, water for cleaning. In an adjacent field, we also offer a peaceful, level & well&hyphen;drained Caravan Club registered CL site — available all year round. Facilities include: hand washing & WC, chemical and grey water disposal, drinking water. We have just a few spaces remaining. For more information contact Mel or Diane on: 01623 748592 &sol; 07876 677394.